Obviously, since discovery of crude oil in commercial quantity in the Niger Delta some couple of decades ago, the attention of Federal, State and Local Governments have shifted from agriculture which was hitherto source of revenue for the country due to many reasons chief among which is maturity stage. Ever since, government has come and gone with little or no significant efforts to revamp agriculture at least, to compliment booming oil and gas. It got to a point that the country has to depend largely on importation of farm produce like rice, wheat, diary, catfish among other despite the availability of untapped millions of hectares of arable land and favourable climatic condition. For example, Nigerians spend N25bn daily on imported food most of which is smuggled into the country. May 2016 report by Nigeria Incentive-Based Risk Sharing System for Agricultural Lending Plc (NIRSAL), a subsidiary of the Central Bank of Nigeria (CBN), revealed that Nigerians spends a total of about N25 billion on foods daily most of which are imported from other countries. The report showed that a total of about USD623 million is spent annually on catfish importation into Nigeria through smuggling, a country said to have about 71.2 million cultivable hectares of land where only about 34.2 million hectare are currently cultivated. With this revelation, it means agriculture sector of the economy can employ 65 percent of Nigerian populace. If the government decided to go into agriculture with full force, it then means lending banks, which have important role to play, will either sink or float depending on their preparedness. Now, the current administration of All Progressives Congress (APC) led by President Mohammadu Buhari is leaving no stone unturned to divert the Nation’s economy away from oil and gas into agriculture through different innovation in that regards. This however can only succeed to a large extent if all the 36 States of the federation and Federal Capital Territory (FCT) can join the moving train in varying capacity considering the numerous benefits this will bring into the nation’s Gross Domestic Products (GDP), workforce and general security. It is against this backdrop that Kaduna State Government under the leadership of Governor Nasir El-Rufai is taking the bull by the horn to be the first State to demonstrate that agriconomy is the way to go for the purpose of internal food security and exportation of abundance farm produce the nation is about to witness. Therefore, the programmes of Kaduna State State government for agriculture is not just in tandem with FG’s, but in the right direction owing to benefits it will bring at maturity stage. Imagine the cost of food been imported through genuine and smuggling means. These are what the country can produce on its own. Governor El-Rufai while addressing the state recently said, in agriculture, he has eliminated the fraud that fertilizer subsidy encouraged, quickly added that he has replaced that with a system that gives farmers affordable fertilizer, without subsidy or even a kobo of government money. This is quite commendable. Hitherto, there is bottleneck surrounding allocation of fertilizer in the State. Note that we have three types of farmer; smallholders, mechanized and political farmers. The truth is that smallholders farmers are the most productive in Nigeria but they don’t get the farm inputs as at when due even at exorbitant rate. In that statewide broadcast, the Governor said, “what we have done is to pull the weight of the government to negotiate a fair price on behalf of our farmers. We have attracted big companies to invest in the farming sector here. From tomatoes to maize, rice, wheat and soyabeans, commercial farming projects, with outgrowers’ schemes for our farmers, are being launched. “The first of this is the Olam poultry and feed mill project. Many more will be actualized in the next few months,” added the governor. It is worth mentioning that a bag of NPK fertilizer before now is sold at N6,500 per bag at subsidized price. 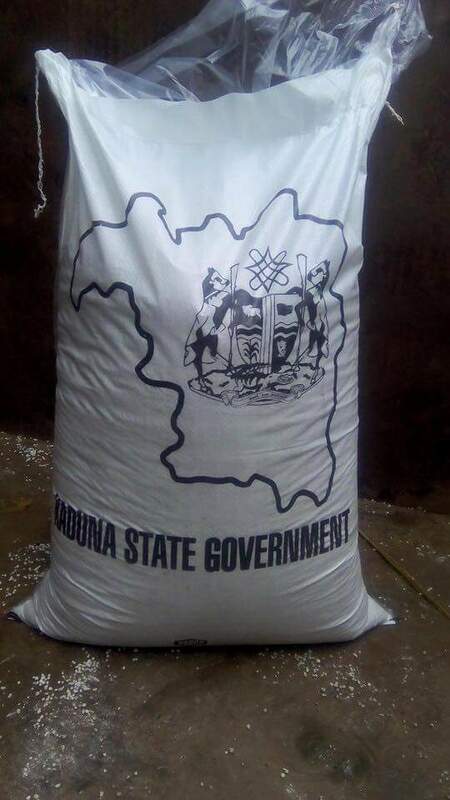 But with intervention of the current administration, it now go for a pocket friendly of N4,000 only per bag and farmers can easily access it anywhere in the State. So, government is not involve in production or selling of fertilizer and other farm inputs, but only mediating between the producers and end users. 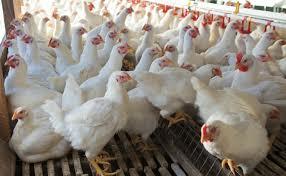 It will be recalled that the foundation of the N30b biggest West Africa poultry/hatchery farm along Kaduna -Abuja road, in Chikun local government area of the State recently laid by the governor is to be managed by Olam group will apart from exporting poultry products, employ sizeable number of people of the host communities. Governor in his speech entitled Business is happening in Kaduna’ while performing the ground-breaking ceremony for the Olam Integrated Feed Mill and Poultry project in Chikpiri Gabas village, said the project was not about the size of the facility but jobs that would be created in building and running the poultry project. Corroborating the governor, Commissioner for Agriculture and Forestry, Dr. Manzo Daniel Maigari, said among several achievements of the current government in the state was that the state government is now reviving 17 grazing reserves across the state with intention of turning them into commercial pasture hubs as done in other climes to improve the economy of the state. As earlier stated, this will also generate a good number of employment in a form of value chain; producers, processors, marketers, transporters etc. It will also allow taking proper records of any herdsman that enter the state because some people will certainly be in control of the grazing reserves when completed. There is already an ongoing cattle breeding programme aimed at improving the quantity and quality of cattle in Nigeria for more gain. “Now the present government has decided to revive these grazing reserves because they have been gazetted,” he stated. Already, this administration is working seriously to promote all year round agricultural activities. This will mean agriculture will no longer be seasonal as existing dams would be revamped while new ones will emerge where necessary across the state for dry season farming. To this end, all the developmental plans are geared towards job creation among others as unemployment is been identified as part of factors leading to rise in crime activities in the country. So, with commitment of Governor El-Rufai and other stakeholders in agric value chain in the State, the already salivating 172 million target market will be handy to drive the nation’s economy beyond oil to a safer destination.